As those who read me know, I have been participating in a recent blogging challenge that has emerged called blimage – a “blog image” challenge: You must use an image sent to you and “incorporate it into your blog, and write a post about learning based on it…Then pass an image of your choice on to someone else so they can do their own #blimage challenge.” Read about the original idea here and see a continually updated list of blimage posts here. Enoch Hale and I have been challenging each other, with his latest thoughtful post here. Now he has challenged me with this image of a cut onion. My first thought was staff meetings in the past where my colleague Bud Deihl would get thoughtful and say, “My mind is reeling…so many layers suggested by this…”. He used the onion metaphor frequently. 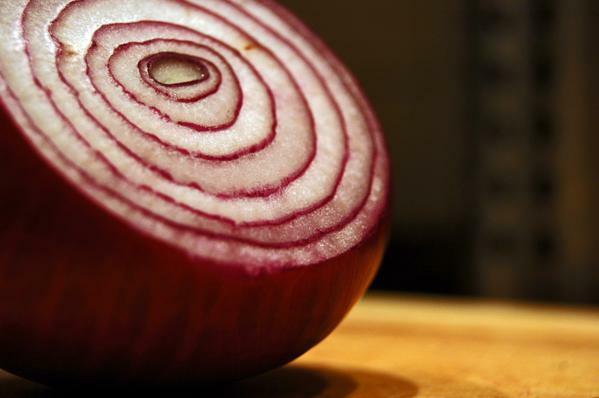 The onion metaphor is useful because it brings to mind surface issues and underlying deeper issues. Thirty years ago, I learned about quality principles while still in the Navy, as DoD (and much of America) rediscovered Dr. Edwards Deming. Deming was a engineer, statistician and quality expert who helped turn around Japanese industry after World War II. A NBC documentary in 1980 entitled “If Japan Can…Why Can’t We?” helped bring Deming to the attention of American industry, and he consulted with government and industry until his death in 1993. His quality principles were an integral part of my dissertation study on middle management in community colleges. Deming regularly admonished management to focus on systems rather than people as the causes of problems (and opportunities for improvement). Having moved into faculty development for the last decade, I see the work that we do in many ways as problem solving. Whether moving a class online or incorporating a new technology into the classroom, we focus on working with faculty to improve the learning process. The danger in problem solving is to focus on symptoms rather than underlying root causes. Toyota instituted the “Five Whys” process to try and get at causal issues rather than band-aiding surface issues. 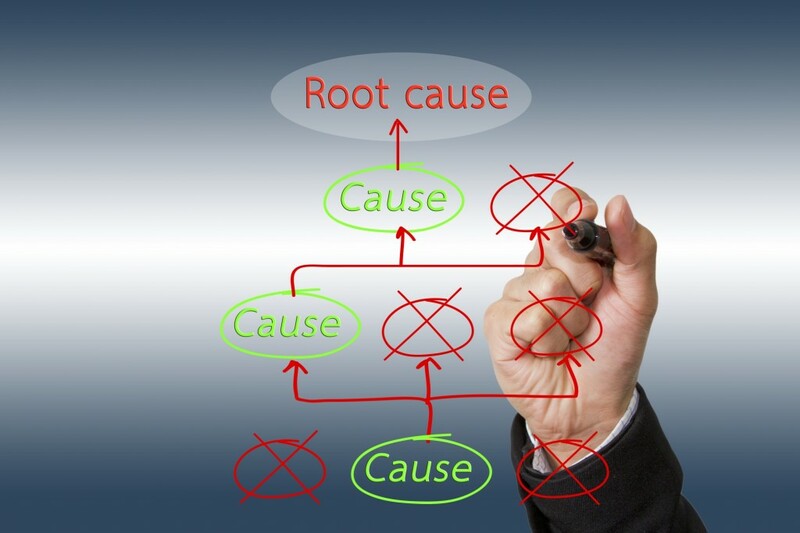 In “The Five Whys Technique” by Olivier Serrat, an example is provided of Jeff Bezos of Amazon using Root Cause Analysis to get at the underlying cause of a safety issue. During a visit the Amazon.com Fulfillment Centers, Bezos learned of a safety incident during which an associate had damaged his finger. “…He walked to the whiteboard and began to use the Five Whys technique. Because he had placed his bag on the conveyor, which had then started unexpectedly. Because he was using the conveyor as a table. So when I gazed at the onion, I was wondering how often I and fellow faculty (and students) jump on the top layer (issue) and do not push to the underlying cause? Deming noted that there are common cause problems (part of normal variation) and special cause problems (unique events). Treating and fixing common cause issues as if they were special cause problems inevitably leads to worse issues, not improvement. I would disagree. I think that integration of technology into lessons (and personalization) is part of the unfolding evolution of teaching. Perhaps we first need to identify the root cause that machine teaching could help improve. Focusing on the threat implied by machine learning is only peeling back the first layer of the onion.